In six days, Brazilians will most likely elect Jair Messias Bolsonaro as our next president. 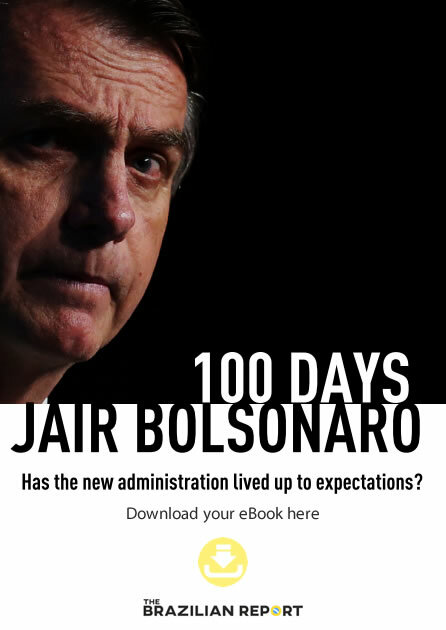 As we at The Brazilian Report have extensively covered, Mr. Bolsonaro’s rise benefited from a wave of anti-politics which struck down traditional parties. Many factors have contributed to this scenario, which most pundits thought to be impossible just months ago. Even if Brazil’s educational system is absurdly underperforming, people did become better-educated over the past few decades. Voters are starting to do the math, linking the quality of public services in the country with the numerous corruption scandals we see in the news, day in, day out. That has sparked a repulsion of the establishment and an anti-Workers’ Party (who governed the country for 13 years) sentiment. 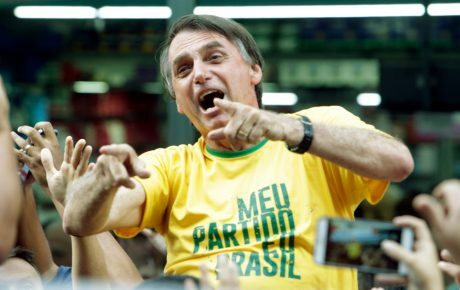 Why voters have turned to Jair Bolsonaro is understandable, but the truth is: if your alarm systems haven’t gone off yet, you are probably underestimating the dangers of his election. Mr. Bolsonaro has an aggressive way of doing politics, which he will bring to the Brazilian public debate. He and his group have promised to defy other branches of government, arrest adversaries, and target minorities. His revisionist approach to history denies the horrors of the military dictatorship – which kidnapped, tortured and killed hundreds of people between 1964 and 1985. After last week’s illegal campaign financing scandal involving the Bolsonaro campaign, things got real. If you look at Mr. Bolsonaro’s rhetoric, it is easy to find numerous parallels between his words and those of the most reviled fascist leaders in history. To analyze that, we will rely on the takes of Jason Stanley, a professor of philosophy at Yale University, who has devoted the last decade to studying fascist propaganda. “No matter where they come from, fascist politicians everywhere are cut from the same cloth,” said Mr. Stanley, in a video on how fascist leaders operate. Step one for a fascist leader is to create the myth of an ideal past, “a past supposedly destroyed by liberals, feminists, and immigrants.” For Benito Mussolini, it was the Roman Empire, for Turkey’s Recep Tayyip Erdoğan, it was the Ottoman Empire. For Jair Bolsonaro? The military dictatorship – a time when the government could control the lives of citizens, arrest people without court orders, and so on. “Fascists create an overwhelming sense of nostalgia,” explains Mr. Stanley. “As long as he – and yes, it is always a he – remains in power, everything is possible.” But without him, the system would collapse. “We are at the edge of the abyss. They want to transform Brazil into a new Venezuela,” say Mr. Bolsonaro’s campaign ads. Truth be told, Mr. Bolsonaro is far from the only one with a divisive discourse. During his years in office, former president Lula was a fan of the “us versus them” rhetoric, always attributing criticism to his administration (which was indeed sometimes exaggerated) to a vast conspiracy of the elites against a popular government. 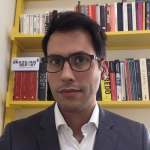 In 2014, both the Workers’ Party and the Social Democracy Party gambled on fracturing the nation – which led to the 2016 impeachment of Dilma Rousseff and undoubtedly helped Mr. Bolsonaro’s electoral stock rise. Mr. Bolsonaro, however, has taken sectarian speech to new levels. 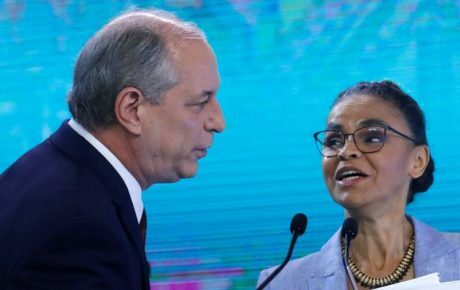 The candidate recorded an address which was broadcast on a big screen at a street demonstration in São Paulo on Sunday, in which he threatens to arrest Workers’ Party members if elected: “This country is ours. 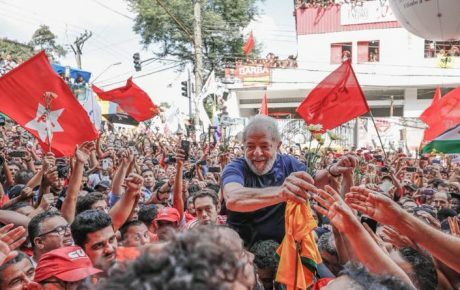 They can either get out or go to jail.” He also promised a “cleansing never before seen in Brazil,” saying that Mr. Haddad would “make Lula company” in jail. The media has also been elected the enemy of society by Mr. Bolsonaro. And that has led to violent acts by his supporters against journalists. 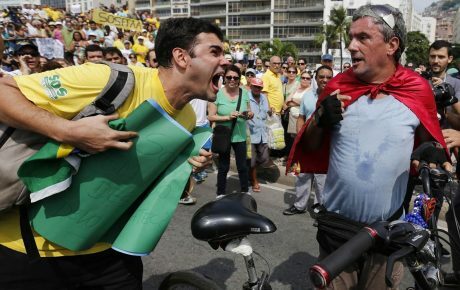 The Brazilian Association of Investigative Journalism (Abraji) has registered 141 cases of attacks, threats, and assaults against media professionals this year – the vast majority committed by Bolsonaro supporters. And when talking about attacking the truth, we mustn’t forget, of course, of a recent illegal campaigning scandal involving the Bolsonaro campaign. Business owners are accused of spending up to BRL 12 million each in order to diffuse fake information against the Workers’ Party through massive waves of WhatsApp messages. The company has blocked over 100,000 accounts linked to the scheme, but the electoral courts have admitted they do not know how to respond. “This environment is a petri dish for conspiracy theories,” says Mr. Stanley. And pro-Bolsonaro supporters share plenty of them: from the secret plot from the so-called Socialist Union of Latin American Republics (a local version of the USSR) to defrauded voting machines. Yes, it is frightening. And we won’t be allowed to say we couldn’t know. The signs were all there. Is Jair Bolsonaro a fascist?